The Houston Dash picked University of Virginia midfielder Morgan Brian first in the first round of the NWSL 2015 College Draft. 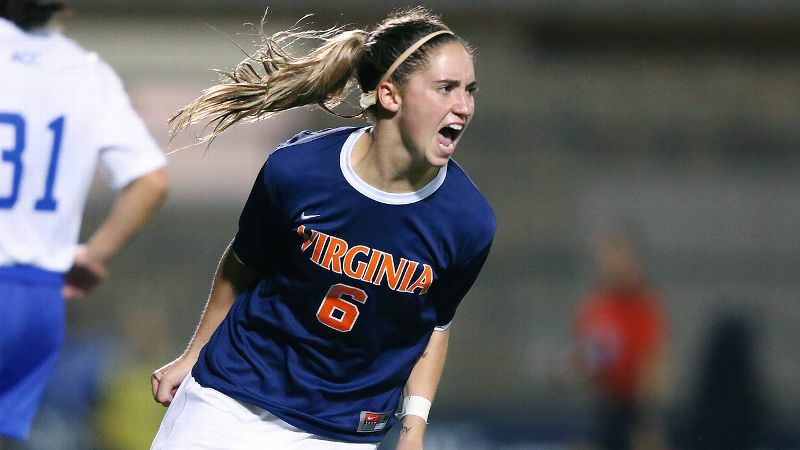 The Houston Dash selected University of Virginia standout Morgan Brian first in the first round of the National Women's Soccer League 2015 College Draft, which was held Friday at the National Soccer Coaches Association of America Convention in Philadelphia. With the 1st pick in the 1st round in the 2014 #NWSL College Draft, #HDU select Morgan Brian from UVA. Three UCLA players went among the top four in the draft. Sky Blue FC took UCLA's Sarah Killion second while the Western NY Flash chose fellow UCLA stars Abigail Dahlkemper and Samantha Mewis third and fourth, respectively. 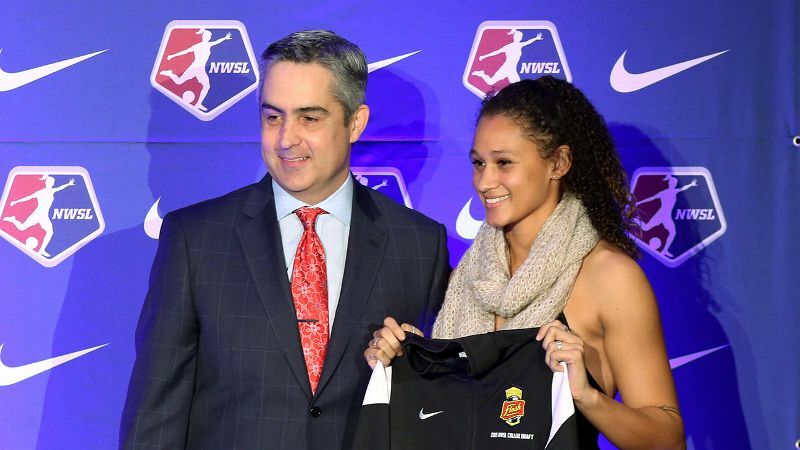 Boston College's Stephanie McCaffrey went fifth, picked by the Chicago Red Stars, followed by Pepperdine's Lynn Williams, chosen sixth by the Western NY Flash. Texas Tech's Jaelene Hinkle was the seventh pick in the first round. McCaffrey was sent to Boston after the Breakers traded pick Nos. 9 and 11 to the Red Stars in exchange. Last week, Brian repeated as the recipient of the Hermann Trophy, college soccer's most prestigious individual honor, finishing ahead of finalists Dagny Brynjarsdottir of newly minted national champion Florida State and UCLA's Mewis in the voting. Brian became the fifth woman to win the trophy awarded by the Missouri Athletic Club more than once since it expanded to include players of both genders in 1988. In so doing, Brian joined former North Carolina legends Mia Hamm (1992-93) and Cindy Parlow (1997-98), former University of Portland star Christine Sinclair (2004-05) and former Notre Dame standout Kerri Hanks (2006, 2008) on a list of repeat winners that is as illustrious as it is short. "She's one of the most humble kids I've ever been around, too," Virginia coach Steve Swanson said this season. "The kid's won every award you can win in a lot of ways, and yet you would never know that being around her. It's all about the team, and it always will be with her."